of casualties in WWI and WW II. Here is an image of the original poem dashed off on a scrap of paper in a lull in the fighting. 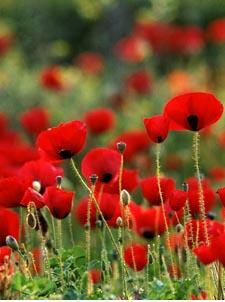 Let us not forget them that gave their lives that we might enjoy liberty and peace. The Commonwealth War Graves Commission, www.cwgc.org, maintains the graves and memorials for 1.7 million soldiers, sailors and airmen who died in both World Wars. The CWGC database also lists over 60,000 civilian dead in the UK. Many of the smaller graveyards that are scattered throughout the former war zones have been consolidated and now also contain the dead of World War II. It speaks volumes that so many of our soldiers gave their lives in two wars at or near the same places such that they can lie together in a foreign field. The opening of the CWGC web site afforded the opportunity to search for relatives that hitherto been just "Uncle Fred died in WWI". A recently issued CD of Soldiers of the Great War, www.naval-military-press.co.uk, is another source which can provide additional information. This wealth of information for my already large One Name Study prompted me to adopt a thematic approach - "The Orrs at War," which could be both a factual record of persons and an understanding of their history and background events. It is likely that Orrs met their maker from the earliest times through military service. As a West coast of Scotland family, some may well have been employed as "galloglass" (mercenaries) in Ireland as long ago as the 13th century. In the 16th , 17th and 18th centuries many disenchanted Protestants and Catholics sought military service with other European states and did so, often with great distinction, in France, Spain, Germany, Poland. Sweden, and Russia. Orrs were prominent in a variety of ways in the burgeoning America and some 102 of their number have been found who served in the Revolutionary War or War of Independence (1774 - 1783) . Hugh Orr from Lochwinnoch (1717-1798) manufactured 500 muskets in 1748, and in the war he was well established as an iron-founder and arms merchant. His son Colonel Robert Orr was armourer at Springfield, Massachusetts. Division occurred between and sometimes within emigrant families with many of the British supporters going to Canada during the conflict. The remainder supported the American cause of Independence. The story of the Empire Loyalists as they became known is of itself a fascinating story. No less than 129 Orrs from 16 States are recorded as taking part in the 1812 War against Britain. The distribution of the volunteers is an interesting illustration how mobile the immigrants were and their spread across the country from Vermont, Massachusetts, Maryland New Jersey and New York in the North East down the coastal plain through Virginia, North and South Carolina to Georgia; through Pennsylvania and the Ohio valley to Tennessee and Arkansas and all points west to Texas. I had heard of the Coloured Troops and I paid a visit to the African American Civil War Memorial web site and read the excellent article by Walter B. Hill, Jr. on their history. I was surprised to learn that slavery and its abolition was not initially a major issue in the American Civil War. But the realisation that the Confederacy were using slave labour to further their war effort led to the Second Confiscation Act and Militia Act (July 1862) which authorised the enlistment of all able bodied citizens between the ages of 18 and 45, including "persons of African descent". A consequence of this was General Order 143, Adjutant General`s Office , May 22nd, 1863, and the creation of the Bureau of Colored Troops . The first regiment of the United States Colored Troops was mustered in June 1863 and 24 black American Orrs, former slaves or sons of slaves served the Union cause. By way of illustrating the way the wider Orr "family" was split, there were 16 Orrs who served with the Confederate regiments from Louisiana. A total of 1411 Orrs appear in the Muster Rolls, some served for years while others responded to alarms and only served a few days before they were stood down. Two Orrs were awarded the Medal of Honour for courageous action under fire. Born in Holland, New York, he joined the Army at Bennington NY. As a Private, with Company G, of the 187th New York Infantry, he and two others rescued several wounded and helpless soldiers at Hatchers Run, Virginia, on 27 October, 1864. Born 28 March 1836 in Philadelphia, PA. He served as a Major in the 61st Pennsylvania Infantry. At Petersburg, Virginia on 2 April, 1865, he retrieved the colours which had twice fallen and carried them under fire at the head of the column. Turning to the Commonwealth countries, I was suprised to find that Australian units took part in the Boer War 1899 - 1902 and three Orrs were among their number: D. Orr of New South Wales; H. Orr of Queensland , and John Orr of Tasmania, a Corporal in the Fourth Tasmanian Contingent, Second Imperial Bushmen, Colonial Military Force, who was killed in action 18 November, 1901. By the time of the Great War, 1914 -1918, very many Orrs had emigrated, taken up citizenship and joined the military. There were those who had recently emigrated and returned to the land of their birth to join up, and those who signed up anyway, such as S. Orr and John Richard Orr from Downpatrick, Co. Down , who served in the Canadian Infantry; Thomas Orr from British Columbia, Canada who served in the 1st / 5th Northumberland Fusiliers; and Wallace Orr of San Francisco, California who served with the 1st Bn. Canadian Machine Gun Corps. Australia was well represented in WWI with 106 Orrs identified as having taken part, 21 being killed in action or dying from their wounds. Three of them were awarded the Military Medal for gallantry - Pvte Arthur Orr; Bombardier William Arthur Orr, and 2nd Lt James Campbell Orr. The Canadian Orrs were also well represented with 236 of their number listed in the Canadian National Archives as serving in the Canadian Expeditionary Force of WWI. 60,000 Canadians died in WW I (11,000 with no known grave) and are commemorated at the Vimy Memorial, Pas de Calais, France. One death in a family is tragedy enough but there were occasions when brothers were lost. 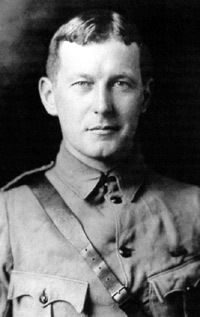 Two sets of brothers were among the New Zealand losses in WW I - Robert Charles Orr and John William Orr from Auckland; Ernest Orr and Henry William Orr from Hamilton. There were brothers Herbert Orr, and F. Orr from Oldham, Lancashire; and, from the tiny island of Malta brothers Arthur George Orr died in 1917 and David died 1945. The brothers theme continues in my immediate family. It is particularly sad to record the death of both father and a son in active service. Sapper James Orr, 6 Bomb Disposal Coy. Royal Engineers died 3 October 1940. His son, Robert John Dillon Orr, 2nd Bn Royal Ulster Rifles, aged 20, died at Caen, France on 19 July 1944. Neither were the civilian population spared from family disaster. In Glasgow Annie Orr aged 29 and her mother Annie Goodwin Orr were killed in their home at 2, Shiskine St., Maryhill, on 14 March 1941.Nine civilian Orrs were killed by enemy action. In the UK, every town has its War Memorial and we are familiar with the sight of the Cenotaph in Whitehall, London , which features in every Remembrance Day parade. 1998 was the 80th anniversary of the Remembrance Day services and included poignant scenes on television from the Ypres (Menin Gate) Memorial. 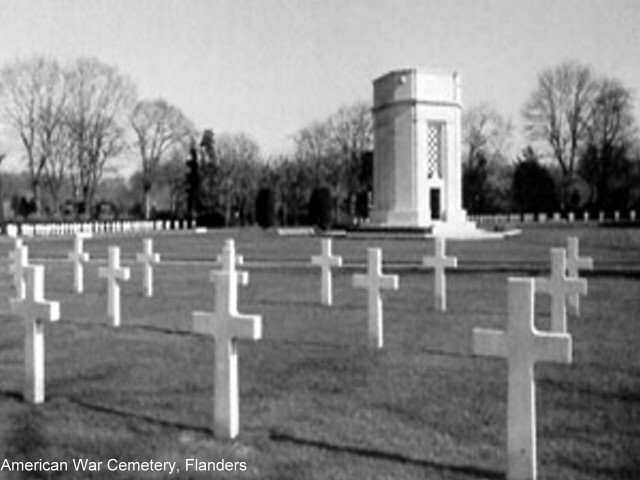 Those commemorated at these places, such as the American War Cemetery in Flanders (picture) are but a few of the whole and we should not forget that the roll call at other memorials runs into millions. The theme approach is certainly very interesting and rewarding, providing the opportunity to look at diverse aspects of my family. On the topic of war it was heartening to see the patriotism that caused young boys to lie about their ages in order to sign up, the stoicism of families who lost loved ones and suffered great hardships without a bread winner, and of the gallant acts by so many. I was not prepared for, and was chastened by, the numbers of soldiers, sailors and airmen who emerged from my research as having no known grave - whose only memorial, if any, is on a plaque somewhere. More than anything else, this absence of a known grave demonstrates for me the wanton obscenity of war - it also serves as a silent reminder that we must not forget those who gave their lives for our freedom. More on the Orrs at War. National Memorials. UK and Australia. Memorials of World War II .